The 2018/19 FC Barcelona Stadium Third Younger Kids' Football Kit includes a shirt, shorts and socks made from breathable fabric for complete comfort. 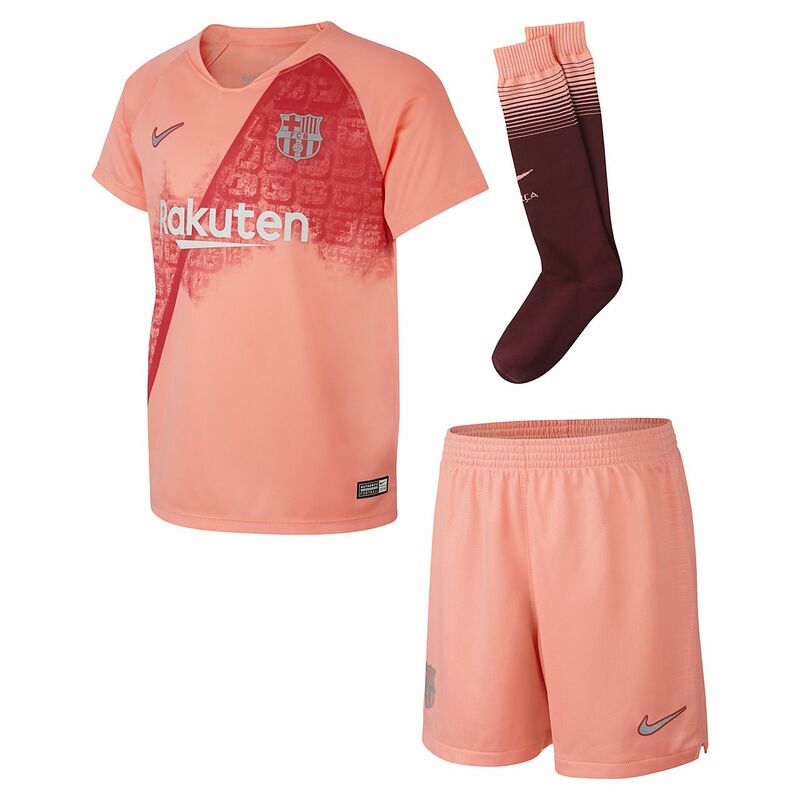 The 2018/19 FC Barcelona Stadium Third Younger Kids&apos; Football Kit includes a shirt, shorts and socks made from breathable fabric for complete comfort. Fabric: Shirt: 100% recycled polyester. Shorts: 100% recycled polyester. Socks: 71% nylon/26% polyester/3% elastane. Have your say. Be the first to review the 2018/19 FC Barcelona Stadium Third.